Whilst we are currently waiting for the next version of the Greater Manchester Spatial Framework [GMSF] to be published, it’s important that we keep a close watch on proposed developments in the area. If you hear any snippets of reliable information then please share them. Alternatively, you can email gtilstone@me.com. 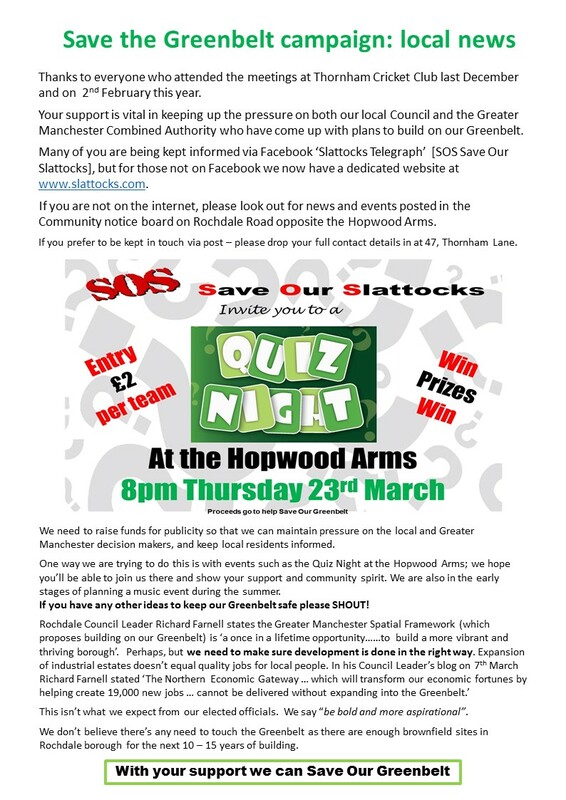 All help is gratefully received and will help us Save Our Greenbelt.